One of the best bellwethers of a person’s will to succeed is how he or she responds to adversity. The act of attaining fame and fortune when the odds are in your favor or, at the very least, 50:50, is well below most people’s noteworthiness thresholds. But achieving success when you’re dealt a bad hand separates the average from the above average. When Carroll Hall Shelby, who died on Thursday aged 89 at Baylor Hospital in Dallas, Texas, was forced to end a very successful road racing career (in which he won three SCCA national championships and the 1959 24 Hours of Le Mans sharing a factory Aston Martin DBR1 with Englishman Roy Salvadori) in 1960 due to a chronic heart condition that actually left him bedridden for much of his childhood, he could have just resigned himself to taking some soul-sucking desk job, having nothing but memories of being in the thick of auto racing action. But as we all know, that’s not what he did. Recalling the Anglo-American Cadillac-powered Allards he drove during the early part of his career, Shelby approached AC Cars with the intention of importing that company’s Ace roadster (sans its Bristol engine) and re-powering it with an American V8. After Chevrolet rejected Shelby’s proposal to power the new transatlantic hybrid with a Small Block V8 out of fear this Texas chicken farmer’s creation would upstage the homegrown Corvette, Ol’ Shel approached Ford and asked for the use of its small (260 cubic inch, or 4.3L) Windsor V8. Ford vice president Lee Iacocca, who loved the idea of a Ford-powered Corvette killer, obliged; thus was born CSX0001, the very first Shelby Cobra. Subsequent models were fitted with the larger 289 cubic inch (4.7L) version of the Windsor, as well as the 427 cubic inch (7.0L) FE V8 famously stuffed into the fat-fendered 427 Cobra road and racing-spec S/C models. And in case the 427 Cobra wasn’t nutso enough, a pair of Super Snakes – powered by 427s with twin centrifugal superchargers – were built; one was retained by Shelby until he sold it for $5 million at auction five years ago, and the other was given to Shelby’s friend Bill Cosby, whose brief, terror-filled custodianship of it inspired his famous 200 M.P.H. standup bit and eponymous album (This second Super Snake was destroyed in an accident that killed its second owner.). Lest you assume the Cobra was nothing more than some wild, homicidal beast, the Cobras of both the small block and big block persuasions racked up wins by the boatload in road racing competition, as well as on the dragstrip. And in addition to the roadsters, the company built six 289-powered Daytona Coupes (with swoopy fastback bodies penned by renown designer Pete Brock) to contest the World GT Championship. The car won the GT class in at the 1964 24 Hours of Le Mans, and the World GT Championship the following year. 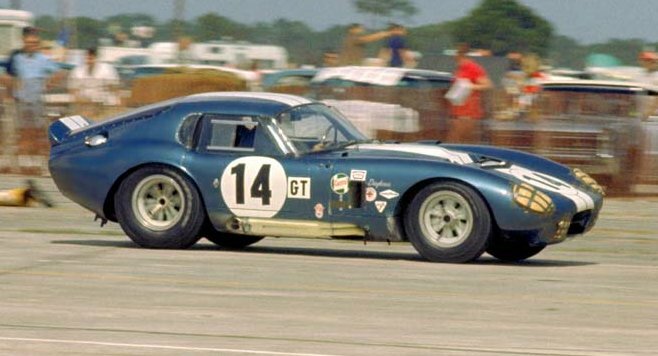 However, by 1965 Ford had given Shelby and Co. two new assignments: One, turn the Mustang fastback into a racecar (a project that became the GT350) and two, turn the GT40 into a winner, which Shelby and team dutifully did, as various evolutions of the GT40 won Le Mans every year from 1966 to ’69 (including the famous 1967 “all American win,” with Californian Dan Gurney and Shelby’s fellow Texan A.J. Foyt taking the victory in the U.S.-built, 427-powered GT40 Mark IV). Thus Carroll Shelby became the first and, so far, only person to win the daylong French race as a driver, constructor, and team manager. Sadly, Shelby’s first association with Ford ended with the muscle car era. Shelby kept himself busy with other ventures throughout the ‘70s (including cooking and selling chili), but the ‘80s would see him reemerge on the performance car stage. His old buddy Iacocca, by now leading Chrysler’s turnaround, contacted him and asked him to help jazz up the milquetoast Dodge Omni hatchback. 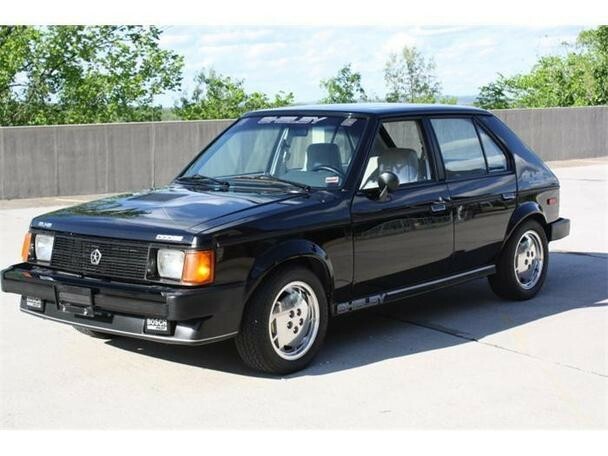 What Shelby and his crew came up with was the turbocharged Dodge Omni GLH, the GLH standing for – and this is no joke – “Goes Like Hell.” Shelby worked his magic on many other front-drive Chrysler products, including the final 500 examples of the Omni GLH which were reworked to become the Shelby Omni GLHS. Yes, the GLHS stood for “Goes Like Hell…Som’more,” and considering the package boosted the 2,200 lb. compact’s output to 175hp, it was quite diabolical. Shelby was also a consultant during the development of the ‘90s Cobra homage Dodge Viper. The mid-‘90s would see Shelby strike out on his own once more, as he endeavored to create his own modern Cobra (even though he was already building “continuation” versions of the original Cobras): The Series 1. Like the Cobra, the Series 1 would use an off-the-shelf engine, specifically the smaller-bore 4.0L version of the Cadillac Northstar V8 used in the Oldsmobile Aurora. 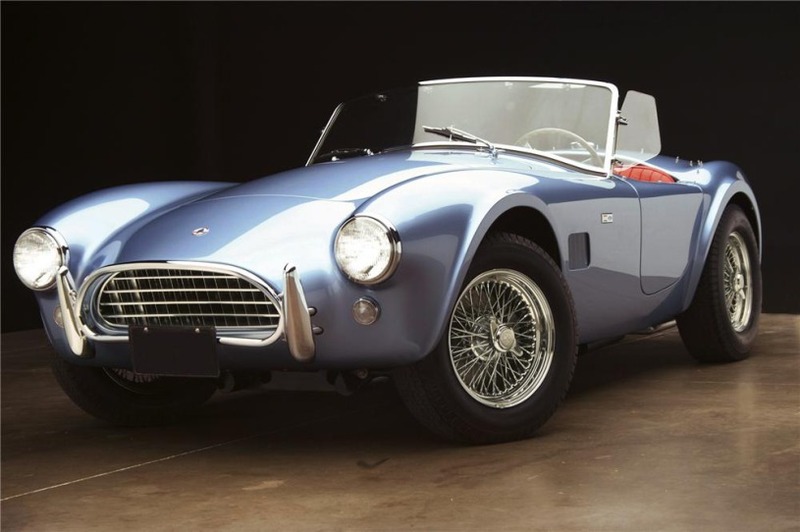 Unlike the Cobra (and every other Shelby vehicle before or since), the body and chassis would be designed specifically for the Series 1. Unfortunately, jumping into the car manufacturing biz had gotten exponentially harder since the 1960s; repeated crash and emissions tests delayed the launch by years, and when the car finally did reach production in 1999, the lightly modified Aurora V8’s 320hp proved merely so-so. Later cars were fitted with superchargers, which yielded 0-60 mph times in the low three-second range, but the sky-high prices and other issues kept many would-be adopters away. 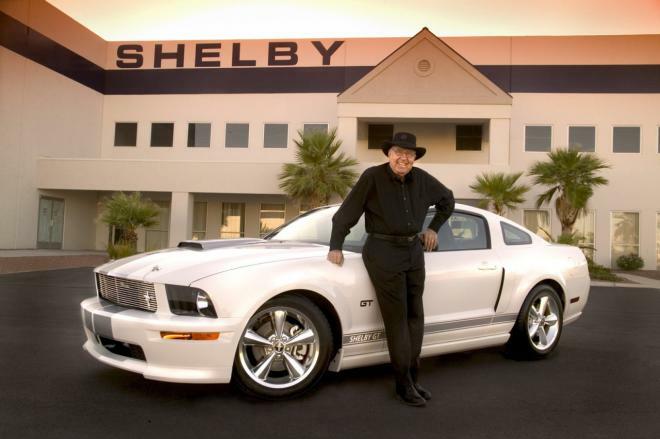 After the Series 1 project wound down, Shelby rekindled his relationship with Ford, initially with a pair of concept cars inspired by the Cobra and Daytona Coupe, and later as a consultant for the Ford GT before finally teaming with SVT to revive the Shelby Mustang in the form of the 2007 Shelby GT500. Shelby soon added a suite of upgrades for GT500s and regular Mustangs, including a new GT350 and a 1,000hp Shelby 1000 kit for the GT500, and there’s no doubt he was itching to see how many more ponies could be added to the 2013 GT500’s stock 662hp. Of course, he won’t get that chance. 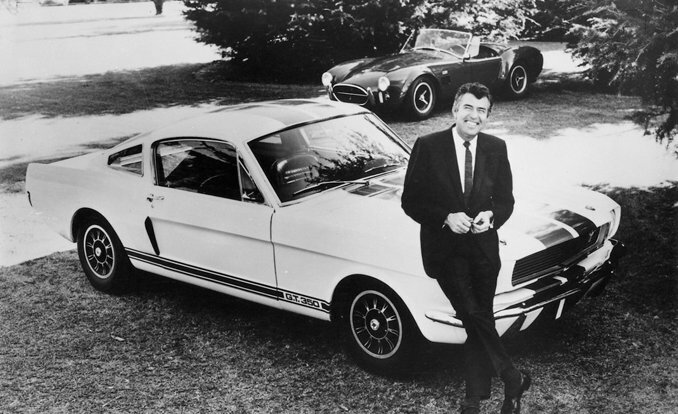 Carroll Shelby leaves behind his wife Cleo, his three children, a sprawling tuning, manufacturing and merchandising empire, scores of thousands of cars, millions of fans, and one remarkable legacy of service to his country (in the Army Air Corps during World War II) and to the automotive world. Was he perfect? 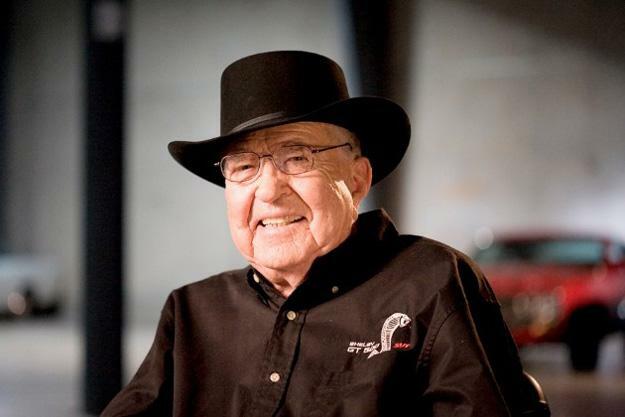 Um, no; his lawsuits against Cobra and Shelby Mustang replica makers were annoying in their abundance and not always justifiable, he initially claimed that the “continuation” Cobras were constructed from leftover incomplete 1960s bodies and chassis (they weren’t; only the VINs dated to the time of the original Cobras), and the Carroll Shelby Foundation (which he established in 1992 after seeing all the young heart transplant patients in the hospital when he was awaiting his own new-to-him ticker) has only given a relatively small percentage of its earnings to young transplant patients (the rest going to administrative costs and other expenses). Even so, it’s hard to rag on a guy who, rather than taking the easy way out and feeling sorry for himself after being forced to hang up his helmet, assembled a band of talented hot rodders like Pete Brock and Phil Remington to create cars that not only beat the world’s best on the world’s most famous circuits, but became icons for all time. Not too shabby, Mr. Shelby. Rest in peace.